Debut album by Jillian Bain Christie, soprano and Catherine Herriott, piano. 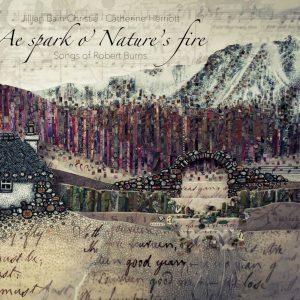 A selection of much-loved songs by Scotland’s national poet, Robert Burns, chosen by talented young Scottish soprano, Jillian Bain Christie for her debut album, Ae spark o' Nature's fire. The album includes a new arrangement of Ae fond kiss written for Jillian by Professor Paul Mealor FRSA, Classic BRIT Award-winning composer.